A few snaps from the Den here. Despite several timing issues, the Dragons 1s arrived at a muddy Wisbech pitch this weekend, ready to fight for the win. The Dragons started brilliantly. Slick passing between Tabba Tabrett, Hannah Phillips and Sophie Mullan found Stacey Lee, who calmly played the ball past the Wisbech keeper to put the Dragons 1-0 up with only 5 minutes played. Unfortunately, Wisbech counter-attacked quickly and found their way to the top of the D and slotted the ball past Cleeve in the dragons’ goal. This was to be the pattern for much of the game as Dragons went 1 ahead, only for Wisbech to break and equalise. Sophie Mullan dominated the midfield throughout the 70 minutes; she was the catalyst for some of our better periods of play and ensured that the Dragons kept the majority of possession. Another period of excellent passing play and some individual skill found Stacey Lee 1 on 1 with the keeper. The Wisbech keeper took young Lee out at the knees and a dramatic fall persuaded the umpire that a flick was in order. Step forward Tabba Tabrett. Tabrett deftly pinged the ball in to the top right hand corner of the net (she’s got other moves too) and the Dragons went 2-1 ahead. Swiftly after the Dragons had gone 2-1 ahead, a loss of possession in midfield led to a piercing Wisbech run and the home team equalised. 2-2 at half time. Throughout the match, despite a lot of provocation, the Dragons ladies kept their cool and it was in the second half that they really took charge of the game. James and Mullan combined excellently in the middle of the pitch and Aoife Lowe Davies, who went on to win Player of the Match, divided the opposition defence with her skilful and attacking runs. It was some of this excellent passing and visionary running off the ball from Hayley Toleman led to the Dragons’ second goal. Toleman converted it with her usual clinical finish. 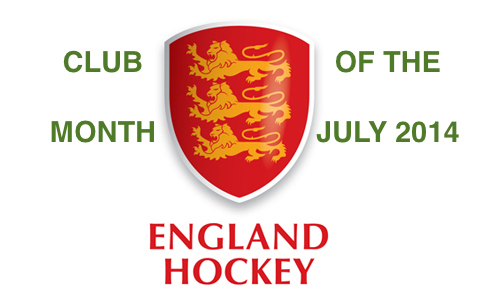 Cleeve in the Dragons’ goal kept the opposition at bay with a series of solid saves and the defence communicated with a rolling cast of extras to ensure Wisbech couldn’t equalise again. With 10 minutes to go, Toleman found Lowe-Davies making a surging run forward, who slipped it past the last line of defence. Lowe-Davies calmly found her way past the keeper and hit the ball home to take the Dragons to 4-2. A penalty corner just before the final whistle saw Wisbech claw a goal back, but the 3 points were in the bag for the Dragons Ladies. Dragons went into this encounter knowing that it was going to be a close match against a team with a very similar league record to their own. Clearly 3 points was going to be key to both teams. Dragons welcomed back Laura Ward who had been unavailable the previous week. The slightly delayed start to the game, saw both teams taking a little time to find their passing game, at times being unnecessarily hurried on the ball, when they could have taken more time. The home defensive unit looked settled and strong and snuffed out any early Lindum threats. Keira Goymour and Gail Thomas provided good width for Dragons and looked to release the forwards early, but clear cut opportunities were few and far between in the first half. Just before halftime a Lindum break, saw a strong leading cross-field run from their right forward, who made her way across the pitch, carrying the ball into top left side of the Dragons D and unleashed a reverse stick strike into the far corner. Dragons were somewhat unfortunate to be a goal down at this stage, but were not about to be beaten and knew they were very much still in this game. They started the second half brightly and had a number of chances with Issy Wolfe and Shelly Seaman starting to take control of the middle of the pitch breaking down Lindum play. With the defence in control, Dragons had confidence to push forward and with 10 mins of the half gone an attack down the right saw Rowie York-Smith and Kiera Goymour combine well to release the ever willing runner Laura Ward. Attacking the baseline, Ward fired the ball into Hannah Hardy, who collided with Keeper and defender. The ball managed to squirm behind the Keeper and Ward, who had continued her run, picked up the pieces to equalise. This served to inspire the home team, who knew they had the upper hand. The second followed shortly after, a well worked team goal with opposition play being broken down on the right through Issy Wolfe and Gail Thomas, the ball was pushed forward by Shelly Seaman and Captain Karen O’Neill Simpson picked up a lose Lindum pass, Captain Simpson finding Hannah Hardy in the D who was aware of Ward’s intelligent run across the keeper and found her with a pass that needed a deft deflection past the out rushing keeper. Again not content with 2-1 Dragons continued to press, forcing a couple of short corners, the first defended well, the second saw Gail Thomas and Kiera Goymour combine smartly, once again though it was Laura Ward who was making the run across the keeper and again deflected Goymours’ excellent shot on goal, high past the keeper. Whilst Dragons had to remain alert in the last 15 minutes (and were ever grateful to their Goalkeeper Emma Cleland, who made some smart saves from short corners), to a player they gave it their all. With strong communication from the back and tireless running from the midfielders and forwards, Dragons saw out the final minutes with few alarms. Laura Ward was deservedly voted Dragons PoM, not only for her goals but for her excellent running off the ball, however the whole team should be proud of the spirit and commitment shown against a well organised and strong Lindum team. A tough trip to Peterborough next week, with the home team looking to seal their promotion to East Premier, but Dragons will travel knowing that on their day they can be a good match for any team in this division. Last time the 5’s played Diss it was a battle start to finish, so we expected another tough game, and they had one more point than us in the league table. The 5’s had first pushback, Amy Forse passing back to Lynne Price, across wide to Rachael Matthews. Driven forward and intercepted by Diss, Aditi Naik steps in and wins balls from both Diss players, plays ball into D and strikes, the Diss keeper kicks back and the rebound was picked up Lynne, flicked in and cleared by Diss. Diss were trying to work out our strategy but Vicki Earley with usual speed picked off any chances in midfield. On hand in defence pushing up the wings, Amelia Smith, Katie Franks and Ginny Simkin, Ginny’s pass from the sideline into Lynne and up the left wing to Fiona Fletcher. Diss managed to catch us a few times on the hop when the 5’s didn’t meet the incoming ball. Diss were ready to take any free hit quickly, so the 5’s had to be alert and get in front of the ball. Jemima Williams in centre back stayed in position as Diss were trying to get the slip past midfield. On the left wing the ball was played well between Amelia up from defence to Racheal finding space in the middle. Both teams having short corners in the first 20 minutes but none converted. It was end to end and finally a goal came from a short, passed out from Fiona to Lynne, slipped right to Amy, smashed into the goal and a Diss defender stopped it on the line with a foot. So a penalty flick was awarded, Lynne stepped up to show us her skills and easily slotted it past the keeper. 1-0. Diss didn’t falter and pushed hard, Catherine Matthews and Aditi were showing their strength in midfield with constant effort and battle. When Diss threatened our D the defence were quick to leap to action and clear the ball. Our keeper Luisa Valentini was quick to run out and clear any balls, with a massive hoof! At half time we needed a bit more passion and composure on the ball, knowing the score was close and Diss would come out fighting. Again the play was end to end and Vicki and Lynne were constantly working to push the ball out wide, the whole team was involved in the game throughout. Diss won a short corner and tried something different a pass out wide on the right, to a player who smashed in into goal. 1-1. The 5’s knew the consequences of a draw meaning Diss would still be ahead of us in the table, so we had to keep the pace going. 2 minutes to go and a pass up from Catherine bounced and bobbled past 4 players before being picked up by Lucy Buxton, who calmly weaved past one defender into the D, one on one, the keeper ran out and Lucy slapped it across, and inhale….. it went into the back of the goal. Massive cheers all round and final whistle called. Score 2-1. We all knew City 6s were to be a tough game but our play has been at its best recently so we battled hard and managed to retain the majority of ball possession throughout. Despite an own goal in the first minute setting us back we then woke up and used short, sharp passes to bring it back. With some excellent defending from Kate, Hannah and Ruby clearing the ball down the wing it gave our midfield a chance to break the ball through. Some great runs were made by Beth Elgood and Lilly to get the ball forward and Anita and Beth Coates was always there with strong tackles to win back lost balls. During the first half the team played really well, fighting for the ball and not being scared of the notorious City hit. Antia’s goal summed up our play in the first half and the high level of possession meant we deserved more, however, their keeper made some great saves which meant we did well to hold them in our half. During the second half the team was a little more tired and the opposition stepped it up a notch, but we used all the energy we had left fighting for another goal. Some great runs made by Jemima at the beginning of the second half which meant we held them at our end and Nic, playing in the midfield, made some strong tackles to win it back. Despite tiring we played some great hockey throughout the game with Sue and Mia’s runs giving help to those taking the ball. As a team we played outstandingly, really taking into practise what we have done at training recently, we battled hard and did well to hold City at 1-1. Dragons 7s were keen to get playing again after a 2 week break, facing Loddon 2s. Dragons got off to an early lead, scoring the only goal of the match within the first 10 minutes. Although buoyed by the early goal and having the bulk of possession, Dragons couldn’t manage to find the back of the goal again. Dragons had lots of chances in Loddon’s D, and were awarded a number of short corners, but lacked the finish required. When Loddon did manage to break through, Dragons stopped them in their tracks and did not let them equalise. Dragons were pleased with the win, but need to work hard in training and remember to put into practice on match day what they have learned. Forget the final crushing score and hang on to the fact that up to the 25th minute Dragons had only conceded two goals and looked very much like a team who could make a good game of it against promotion-chasing Hornets. Then, Shaniece Claxton was caught on the forehead by a Hornet stick which absolutely flattened her. Step in Dr Louise Bondy Bond and various assorted nurses and physios to ensure Shaniece got the best treatment. And we even had a proper paramedic with all his proper kit – but even so Shaniece is going to have a massive headache for a few days. Shaniece later went to hospital for stiches. The game re-started with the second half, and with hindsight perhaps the 8s should have conceded, because we were down to 11 players. We were without Dr Bond for most of the second half, and really missed her. We had been playing a new formation, with Johanne Steward, Jo Baker and Anna Chapman across the back and with Bondy and Bridget Le Good as bottom of the trapezium!! This was a very good idea from our trainers as Bridget and Bondy were able to pick up a lot of the tonking balls Hornets were trying to put through.. Unfortunately for Dragons, they conceded a rash of goals early in the second half when Hales parked a player on their far post. One thing the 8s have to check with their trainers is when a defender has to get in front of a player, and when to stand between them and the goal. This talented young Hornet stung the Dragons at will, despite the bravery of the defenders in going for the ball and slapping the ball away. Anna Chapman had perhaps her best game of the season so far – it was a real blue touch paper day for her as she increased her powered clearances noticeably. Tracy Stuart-Sheppard and Nic Harrison worked hard and effectively in midfield, but the 8s were under so much pressure that we seldom got the ball through to Katy Cole and Lois Metcalfe. Again. We have practised taking firmer hits, but too many went tamely off the sides. We do have to believe that Bridget (who was POM amidst a cluster of players getting votes) really can get the ball over the half way line and have more players going forward..
We had two more youngsters in the team, Kim Brenchley who could only play for one half, and Liberty Townsend who toughed it out in midfield. Ali Pellegrini stopped loads of shots in goal, and saved a penalty flick! Yay! A slightly disappointing facet of the game was that even after Shaniece’s injury, Hornets hit several more hair-parting high balls. They are experienced enough to know that taking a swing at the ball on a wet pitch without stopping it first is likely to lead to uncontrolled lift. That said, Hornets do what they do very well, and were good value for their win. It was another good workout for the 8s, who yet again worked hard and played with their awesome team spirit. Dragons welcomed IES 2’s to the Den with everyone knowing the importance of every fixture from now to the end of the season and with Sudbury losing it was a chance to regain the top spot. After some inspiration from injured captain George Walker and coach Rob Wagstaff Dragons took the field and from the off were in top form moving the ball quickly from left to right running the IES defence ragged. The early pressure soon payed off with Ollie King converting an early chance with Richard Gill doubling the lead soon after. Before the break, Ben Watson slammed in a special goal, a reverse hit straight into the top corner, making it 3-0. The half time team talk was very much more of the same due to the quality of the first half from Dragons, with emphasis on trying to score another quickly after the break. The second half started with IES seeing a bit of the ball however the home side soon got back hold of it and very soon into the second period Ollie King added to his tally. After some more Dragons pressure Ollie King completed his hat-trick just before his stick was shattered due to a hard but fair tackle from an IES defender. Ben Watson then added to his goal with another reverse hit into the bottom corner this time. In the last 10 minutes’ Dragons took advantage of the fatiguing IES team by winning a succession of short corners with Henry Laming smashing two drag flicks home. Ben Watson was voted man of the match for some great skill and two good goals. After the first 5 minutes where IES pressed high, Dragons got into the game and it wasn’t long until their slick passing and work rate were rewarded. Lloyd SAYER collected the ball and slammed home a shot into the IES goal. It wasn’t long after that Will KIRBY hit another in to extend Dragon’s lead. There was some beautiful hockey on display, with all the team working as a unit, and as a result there wasn’t much that IES could do. Chances came for a few extra goals and Dragons were unfortunate not to take their lead further. The second half saw Dragons completely dominate for two thirds. The midfield cut out any balls through and continued to feed the ball through to the forwards. The last 10 minutes saw IES rally and put pressure on Dragons. The defence confidently dealt with short and long corners to once again keep a clean sheet. Man of match: Will Kirby. At the weekend the men’s 4’s travelled to Lowestoft to face a physical team. The first half was tight but a few chances did come from Pedro Goss, Rob CB and Jon CB but to no avail. It was only until the last minute of the first half that we scored our first goal of many. A good pass from the back to Jon in the middle allowed him to run past a few players then slip it to Rob. With a quick counter attack, Rob slipped the ball back to Jon and he hit it first time into the bottom corner. It was a relief to score the opener and reflected some good play in the first half. With some great saves from Ben N and some solid defending from Peter and Will we were able to go into the second half in the lead. The second half came and the team were playing amazingly well as a unit. With great play from the back to Garnett, Nick and Richard, we were able to get forward quickly with fast counter attacks from Adrian Kemp and the other forwards. We soon found ourselves 2, 3, 4-0 up with goals from Andy Carver and Adrian. Rob CB was unlucky to not get a goal but he made sure he assisted the majority of them. 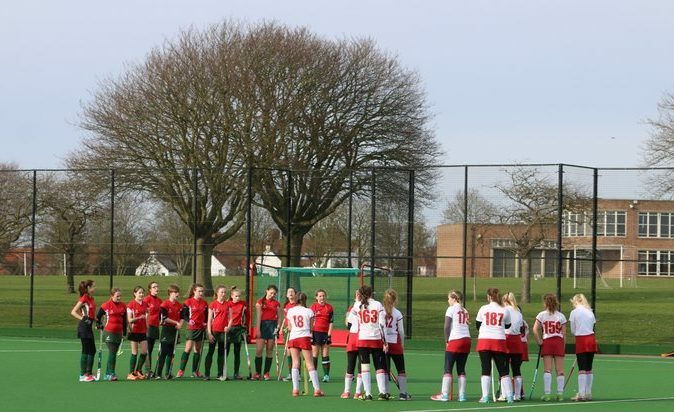 We had such confidence in the team and Lowestoft had almost completely given up as the team were playing simple hockey and they couldn’t keep up. They lost their heads and struggled to get a shot on target in the second half. Shortie made some committed runs through the middle from defence almost reaching the D, however when the ball was turned over he would quickly get back. Our team were solid and organised and 2 more goals eventually came from Jon CB and Pedro. An assist from Garnett for Jon’s goal and an assist from Jon for Pedro’s. 2 in 2 for ‘stand in manager’ John Price and a well-deserved MOM for Ben N. in goal keeping a clean sheet. The men’s 4’s team have guaranteed safety in the league and what a performance to secure it on. The team’s performance was immense and each individual excelled themselves. A 6-0 win well deserved. The play was outstanding and we were too much for Lowestoft in the end as they lost their heads. However that doesn’t take anything away from the performance on the day. The sun was a welcome addition to the sky and brought the promise of spring as Dragons 6’s lined up against Newmarket 3 at the Den. This was the return leg of a tough pre-xmas match and the squad was in good spirits following a strong run of results. The match started well for the 6’s with the same fundamentals being shown in play as before, with good movement in midfield from Owain Hall and Harrison Richards, with Sam Nutt and Ed Crosier supporting on the wings. Unfortunately, Newmarket showed their strength early on with some neat play and an ability from their defence to play some probing aerial balls in to our half from their 16 yard restart. The game was evenly matched for the first 15 minutes but it started to become clear that Newmarket we playing a man marking game on our two forwards, Rob Lee and Andy Key and this was proving effective in keeping both of the strikers very difficult to find with through balls from midfield. After some pressure from Newmarket, that had been absorbed well by the defensive line up of Ray Hansell, Rich Davis, Chris Orme, Newmarket broke through and found space to slot in a goal from the backhand. Freddie Roques had been meeting every challenge with confidence and skill but despite his best efforts was unable to keep this one out. Newmarket kept up the pressure from the restart winning a number of penalty corners but the Dragons defence was able to withstand these and continue to give good service up into the midfield. Owain and Harrison along with Shiv Kapur and James Hansell, who were by now playing attacking wide roles, gave 100% effort in trying to break through the Newmarket midfield but were being stifled by the close attention in the centre of the pitch. Half time came with the score Norwich Dragons 0 – 1 Newmarket. The second half began in similar fashion, with Dragons taking a lot of the possession but being unable to score the crucial goal to bring the game back to even. Newmarket’s unusually tall goal keeper was on top form denying Rob Lee, Andy Key, Sam Nutt and Harrison Richards from scoring. Throughout the pressure and disappointment of being unable to finish the build-up and level the score, everyone continued to play with a huge level of commitment. The midfield especially covering a massive amount of ground to keep the pressure on. Again though, Newmarket’s quality came through and half way through the second half were able to score again to stretch their lead. 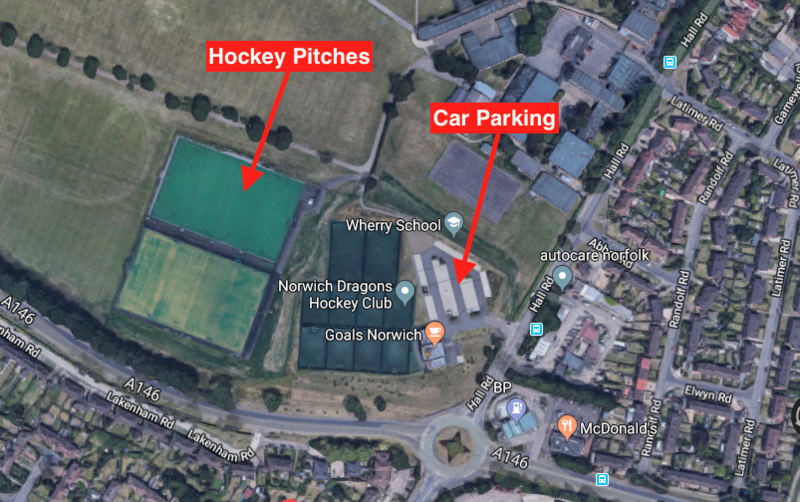 Norwich Dragons 0 – 2 Newmarket. The final 10 minutes showed how far the squad has progressed through the season, and although behind, continued to work for each other and never gave up trying to pull the match back. This was important as there was no landslide of more goals against us, or any loss of resilience in the team. Everyone continued to give 100% effort, right up to the final whistle. Ultimately we were beaten by the better team who before the game were looking to gain promotion into 6NE. This was denied by the withdrawal of Ipswich Cranes 2 from 7NE and the change to the division this resulted in. All this means that Dragons 6 should be playing against Newmarket again next season and will be looking to build on this game, to beat them next time we meet. Unfortunately no goal scorers to list this week, but once again Harrison Richards was voted Man of the Match by the team for his work rate and effort. Due to the I.C. 2 withdrawal, this now concludes Dragons 6 league games for this season. There are still a couple of friendlies to come but the league position finish is now out of our hands. From a personal perspective, I would like to thank everyone for making me feel so welcome after my (sometimes faltering) return to Hockey this year and for making my time deputising for Mike Banham as Captain, so enjoyable. You are all a great bunch of guys and I look forward to lining up with you all next season. Cheers from your scribe Graham! After a long wait for the Dereham team to arrive at the Den, we finally got under way about 5pm. Even against two adults, it was a fairly one-sided game, with Dragons playing the better hockey – there were excellent goals scored as we ended up winning 7-2. Our scorers were Johnny Taylor, Joe Beadman, Will Bowman, Bobby Sheppard, Isaac Diver Hall and James Cross who scored two. Angus Reid Edwards (keeper) was strong in the goal making good saves. Played really well, great goal from Mac, great play all round but city just slipped two goals past, unlucky I must say because it was a great team performance and I think Nat would agree. During the first quarter of the game Dragons began with a strong start with a narrowly missed goal after a free hit to Dereham. We then ended the first quarter three nil to us. The second quarter almost began with a goal but we narrowly missed. After a free hit though we did score making it four nil to us. We started the third quarter and Dereham began an early attack which was well saved. Dereham then scored making the score four one to us. After Dereham defended against an attack from us we were awarded a short corner from which we scored. The final score was six one to us with great play from everyone on both sides.